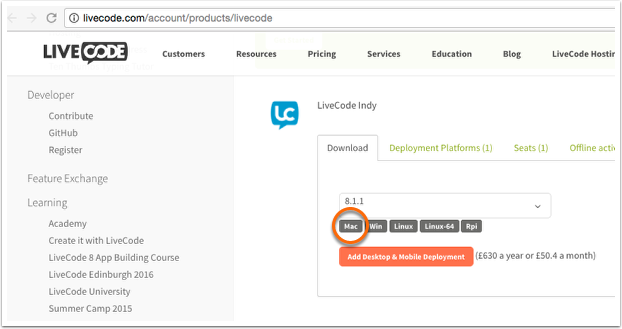 First download the latest stable edition from the LiveCode section of your account as shown in the screenshot above, or from the LiveCode Community section if you are using Community as shown in the screenshot below. Locate your download and double click it to open. A dialog should appear saying copying to Applications. 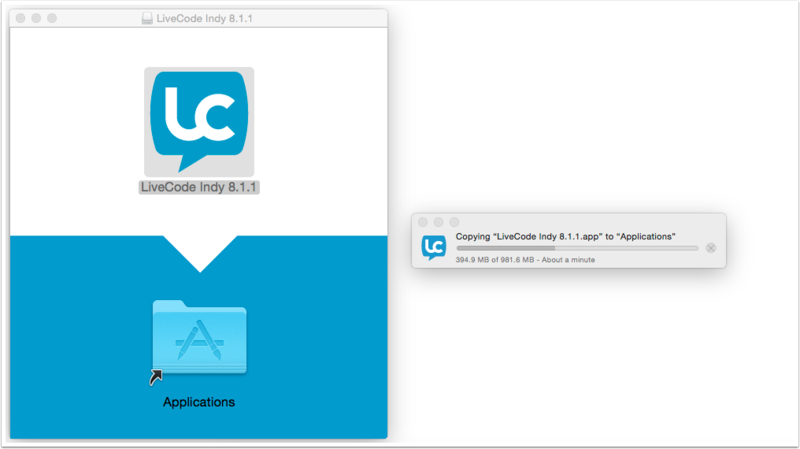 You should see LiveCode has been installed. 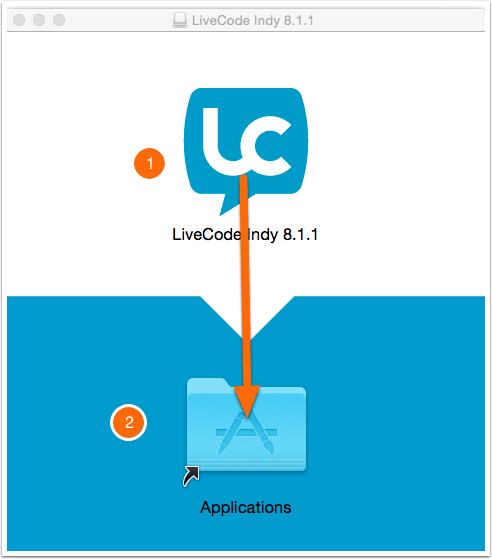 To activate it please follow the steps in this lesson (how do I download and activate LiveCode).